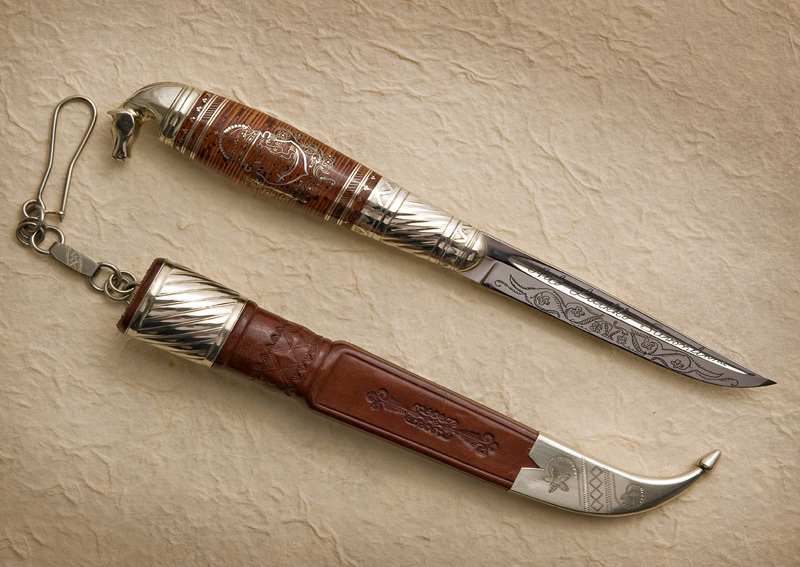 “There’s no greater puukko tradition in eastern Finland than there is in Ostrobothnia, (Kauhava, Härmä…) which is the cradle of the whole Finnish puukko culture. 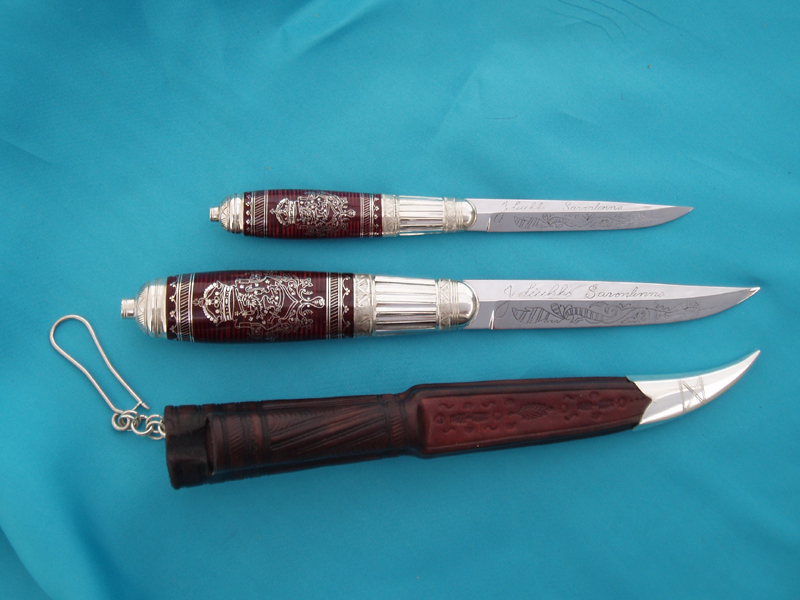 Of course the puukko was needed here on a daily basis like everywhere else. Surely the local smiths had their own models and puukkos from elsewhere for sale. 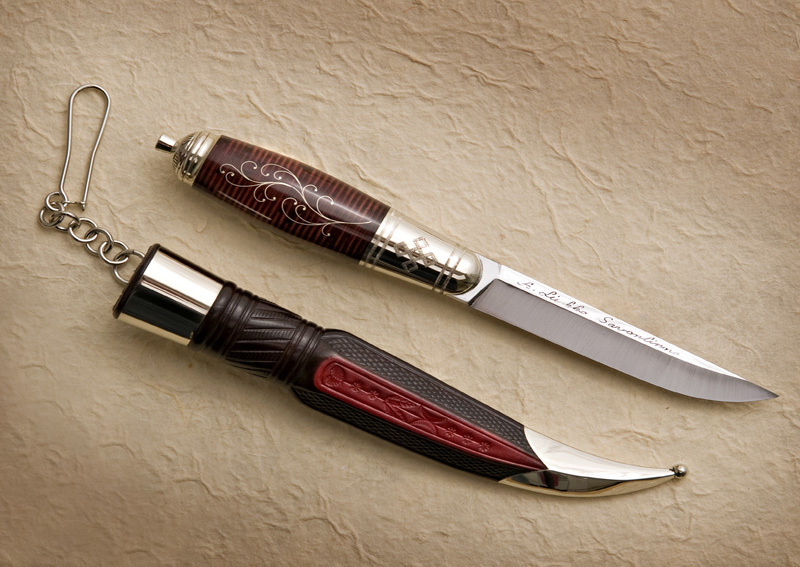 But there is one model, labelled as a traditional puukko, that stands out and honorably represents knife making skills in eastern Finland. The Rautalammi puukko. The father of the Rautalammi puukko is Emil Hänninen (1869-1952) from Rautalampi. His workshop shipped puukkos all over Finland and also abroad, at least to Russia. 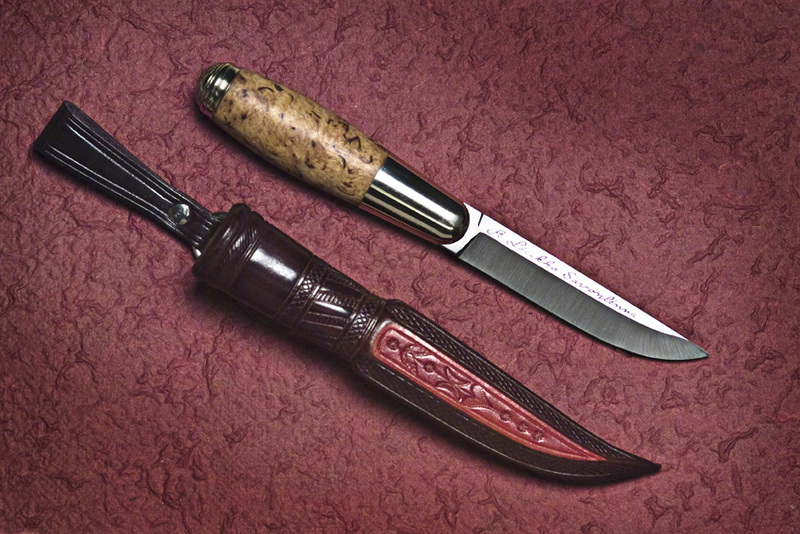 Hänninen’s grand son, Hannu Tick, has told that a notable amount of puukkos sent to Russia were simple and ascetic utility knives. 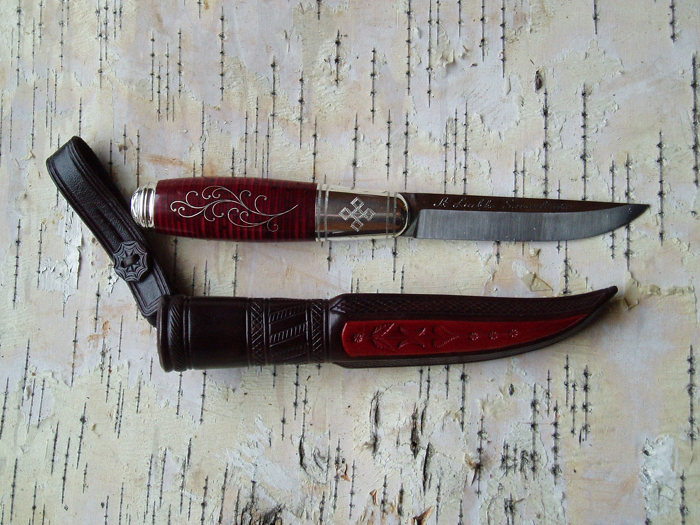 The Rautalammi puukko is a lot different than that ascetic utility puukko. It has a straight blade and a ricasso, but no blood groove. The handle is symmetrical. 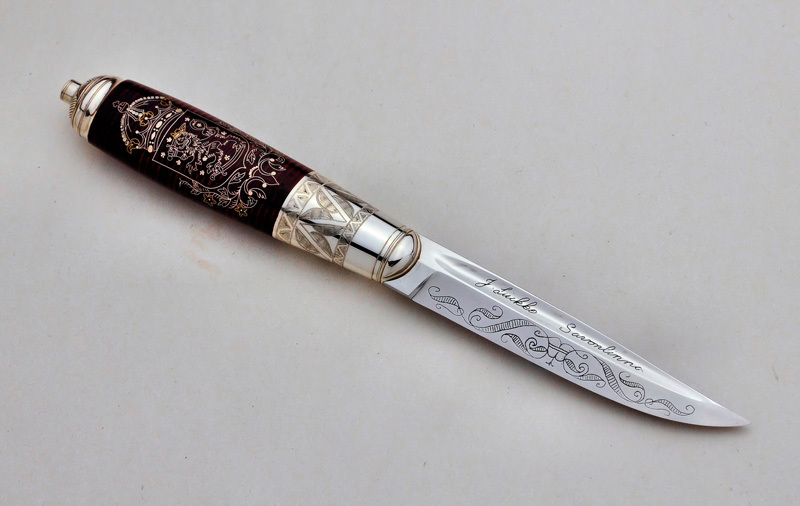 It also features a long pommel and skillfully filed bolster. 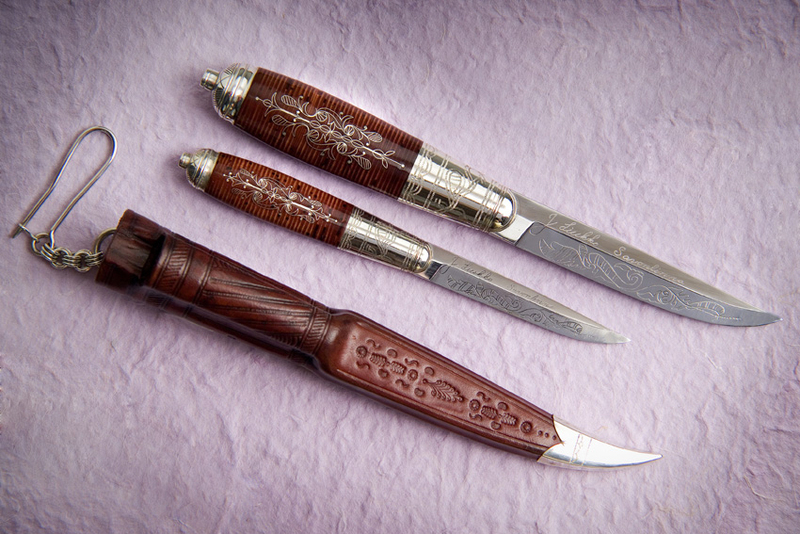 The handle material in preserved models are curly birch and ebonite. An inlayed birchbark handle was also part of Hänninen’s production. The inlay pattern, ”lily of the valley”, he used was simplier than the complex inlay patterns used by the smiths in Ostrobothnia, but it still was beautiful and original. Even though Hänninen’s works are original, the influence of Ostrobothnian puukkos are clearly visible. The one factor separating the Rautalammi puukko from every other Finnish puukkos the most, is the sheath. The particular feature is the last (wooden cover inside the leather), that has strongly bevelled and decorated sides. Ornaments on the sheath are quite original and in my opinion the Rautalammi sheath is one of the most beautiful. Only a handful of Hänninen’s puukkos have been preserved to these days and most of them are in the familys posession. 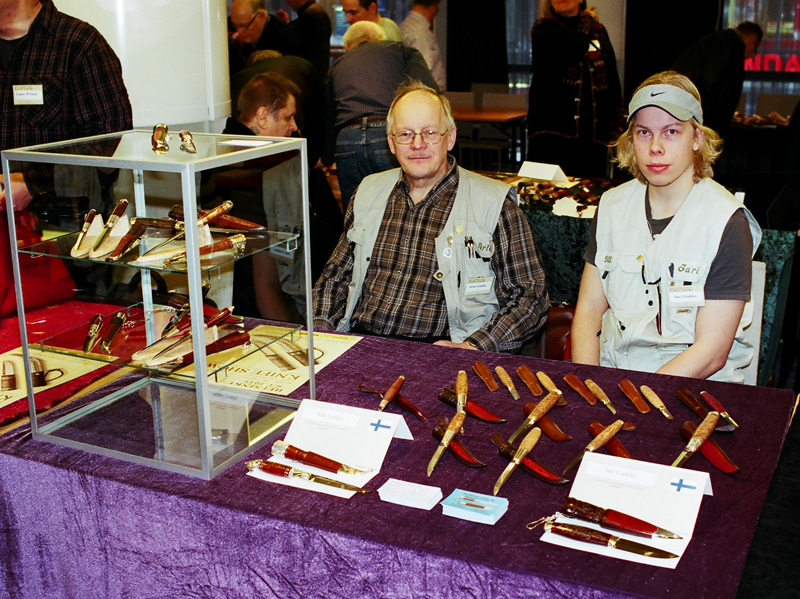 A known puukko hobbyist Eino Kauppinen owns some of Hänninen’s work. In the Paris world exhibition in the year 1900 Hänninen received a bronze medal for his decorative Rautalammi puukko. 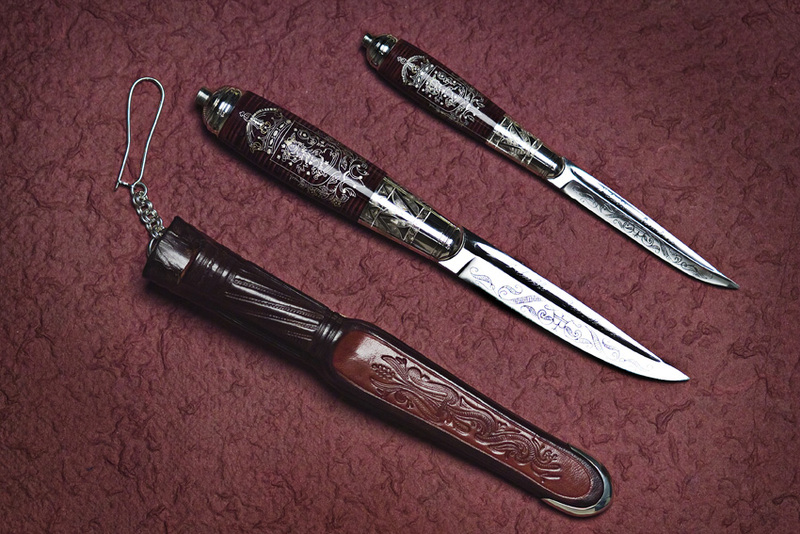 This puukko still exists and is owned by the family member of his wife. After Emil Hänninen retired, one of his sons Heikki Hänninen continued in his fathers foot steps. Emil’s second son of four, Urho was a blacksmith. Did he made puukkos? I have no knowledge of it. The son of Urho Hänninen made Rautalammi puukkos by the standards of his grandfather Emil. Iivari Haring (1887-1954) is mentioned as a maker of Rautalammi puukkos. In his days of youth he worked as a smith in Karttula, but moved to Kuopio in 1914 and from there to Pirkkala in 1937 to work in an airplane factory. There is only one preserved puukko by Iivari Haring in the common knowledge. This puukko and the sheath is photographed in Timo Hyytinen’s ”Suuri Puukkokirja 1”. The sheath is genuine Haring, but the puukko I am not sure of. I have seen similar work among others in the Kauhava’s puukkomuseum. Haring’s house was destroyed in a fire and most likely a lot of valuable puukkos were destroyed. Hopefully some of his work still exists. What kind and in what condition time might reveal.